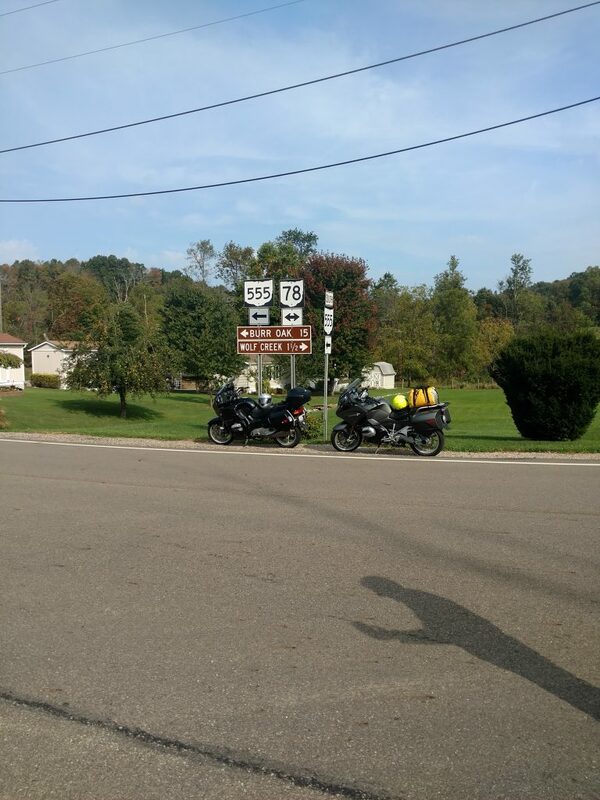 This is a new event for the club, it's only the second year we've gone down to Coshocton, Ohio to ride some of the fantastic roads there. There were six members to show up for the ride, Pat O'Neill, Mike Eckstein, Greg Crago, Shannon Adkins, Scott Piqutette (let me know if I spelled that wrong) and myself. The weather was pretty brutal, reaching the low 90's all four days. 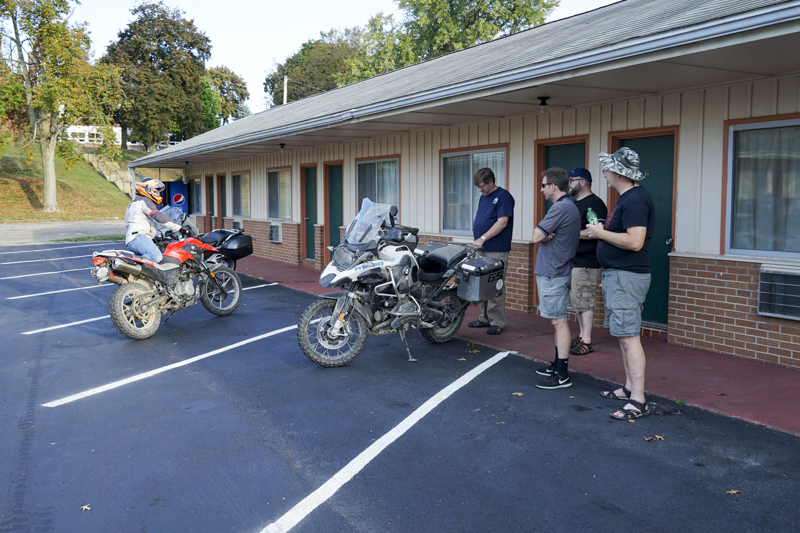 Pat and I rode down on Thursday, pulled into the Downtown Motel about 4:00. This was an ideal "home base" as it was the central point for most of Greg's rides. 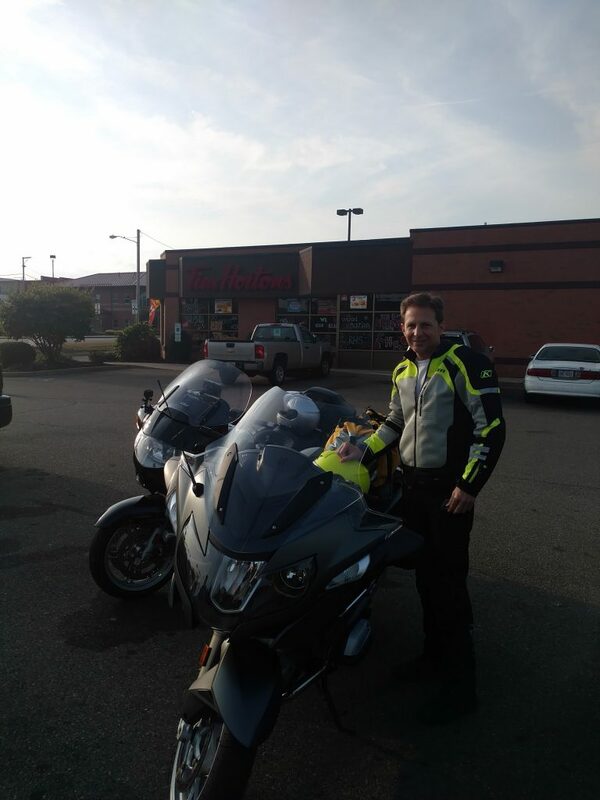 Friday morning, first stop was breakfast. 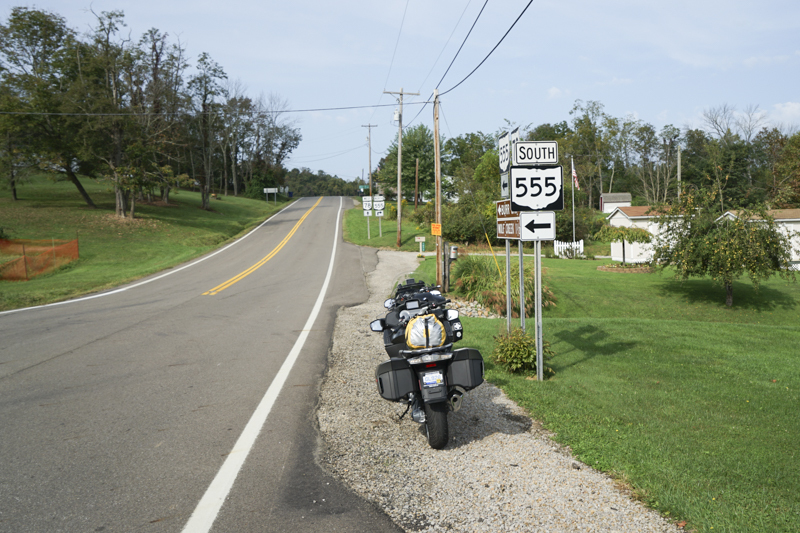 Then Pat and I rode south to ride the 555 loop I had found on a web site. Mike and Greg went off to do some of the dirt tracks that Greg had laid out. 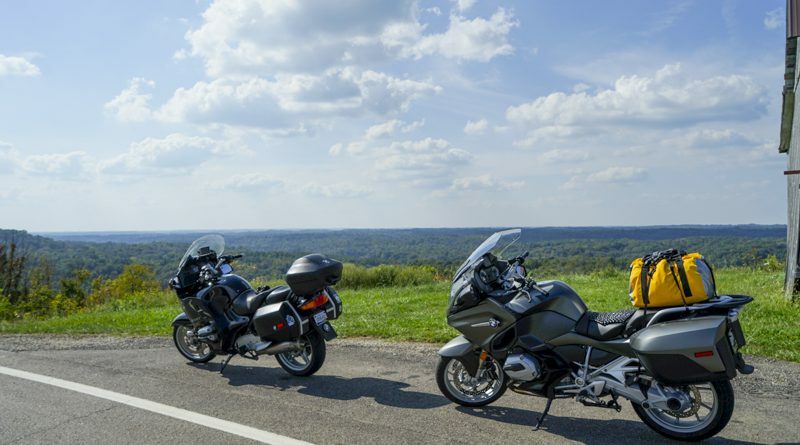 This part of Ohio has some really great riding with lots of twisty, hilly roads to cruise. And it seemed that at least half of the roads had new pavement, making them even better. 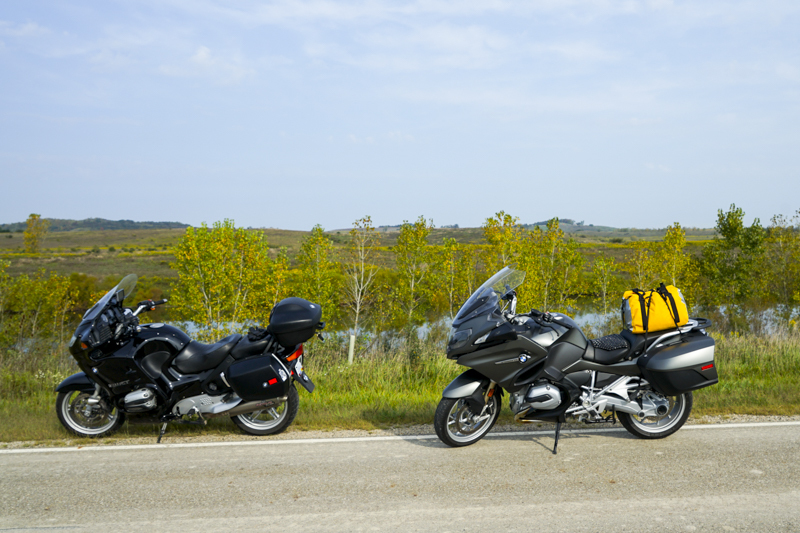 We saw very little traffic, and if the weather had been about 10-15 degrees cooler, it would have been perfect riding. Friday evening, back at the hotel Mike and Greg had beaten us back, and after a short rest and a good shower, we went to Mexican for dinner. Saturday morning breakfast at Bob Evans, we planned the days rides. 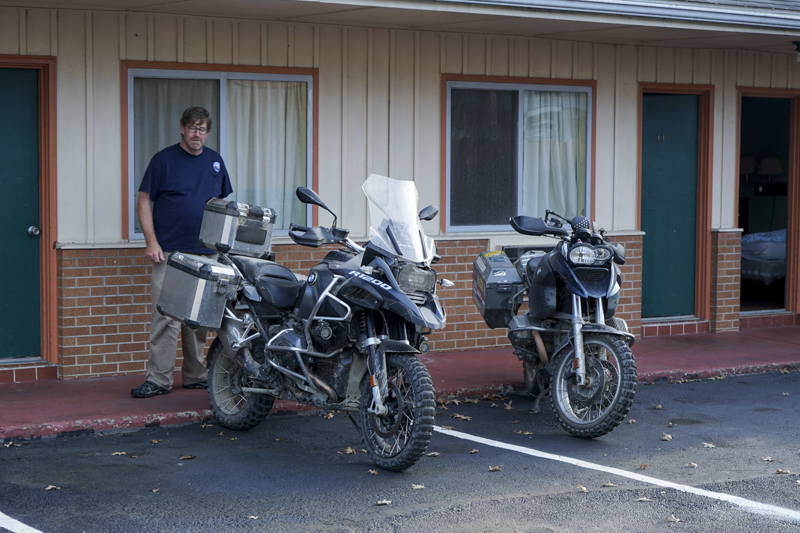 It was still just the four of us, but Shannon was on the way, and we didn't know it at the time but Scott had camped just outside of town and showed up about 9:00 at the motel. Pat and I made a new route in Basecamp and hung around till Shannon rode up, then he and Scott took off to find the other two . Them pat and I left to ride out new route. Saturday evening, after cleaning up and napping, we all walked to Rosco for dinner. Sunday morning found all six of us at Tim Hortons again, before heading off to various destinations. 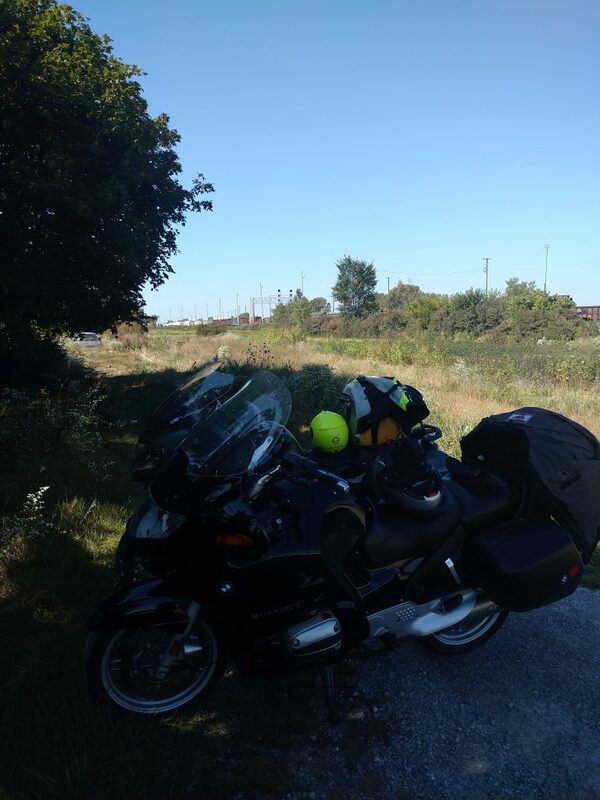 At one point, just outside of Sandusky, Pat and I got stuck waiting for a train that wasn't even moving when we first pulled up. So we pulled of the road into an abandoned lot and waited it out under the shade of a tree in the front yard. You can't even see the end of the train just above the bikes. After about ten minutes the train was past, and while the traffic cleared up, we got our gear on and took of. We split up outside of Toledo, Pat heading home and I went to meet my son at the University of Toledo for lunch. I was kinda hoping I lost about ten pounds in sweat, but no such luck. I definitely have to wash the gear before I put it back on though. 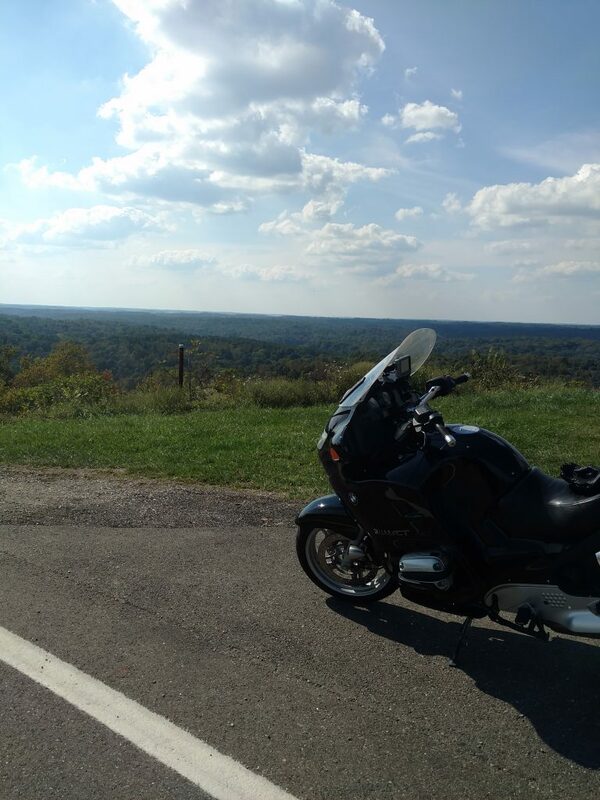 Despite the heat, I had a great time and I'm thinking about when I can go back again to ride some more of those great roads. Here's a video I put together from the ride.